Today I’m sharing this Winter Lady with Birds Image! 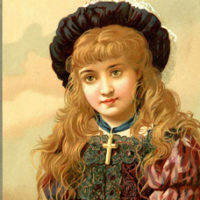 Shown above is a lovely Young Woman dressed in a Brown Dress. 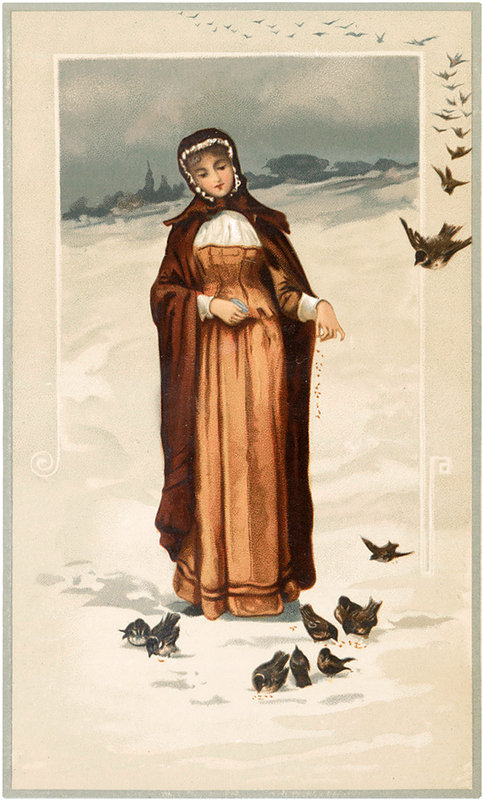 She’s wearing a matching Brown Cape and she’s feeding some sweet little Birds. A charming Nostalgic Card to use in your Winter Craft or Mixed Media Projects! « 40 Free Valentine’s Day Images!